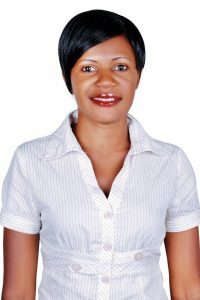 Joyce Kyalema is a gender activist and woman entrepreneur. She is the founder and CEO of JOSMAK International (U) Ltd, a 2013 SEED Winner from Uganda. Joyce further serves as Executive Director of the Rural Women and Youth Development Organization (RWYDO), an organization she founded to organize vulnerable youth and women in rural areas to find ways of increasing their household income, nutritional status and food security. The initiated projects directly empower women to fully participate in their self -coordinated development for self- reliance and to promote gender equality development programs in their communities. In November 2014, Joyce Kyalema was recognized and awarded as a rising star woman entrepreneur by the Uganda Women Entrepreneurs Association Limited (UWEAL). One month later, in December 2014, she has been chosen to be publishing on iLearn, a global mobile-learning platform for and by women entrepreneurs. This platform provided by UN Women’s Knowledge Gateway for Women’s Economic Empowerment has the objective to inspire, motivate and help other women to start and grow their own ventures and provide a learning tool for many women around the world.